Donald Trump's critics have wondered whether his slow response in condemning the Saudi Arabian government after the apparent killing of a Saudi journalist was that President Trump didn't want the oil sheiks to retaliate by raising the price of oil. If that were his reasoning, it certainly wouldn't be the first time U.S. Middle East policy was driven by our thirst for foreign oil. A strong case could be made that ALL American foreign policy in the Middle East for the last five decades - under both parties - has been driven by our addiction to foreign oil. 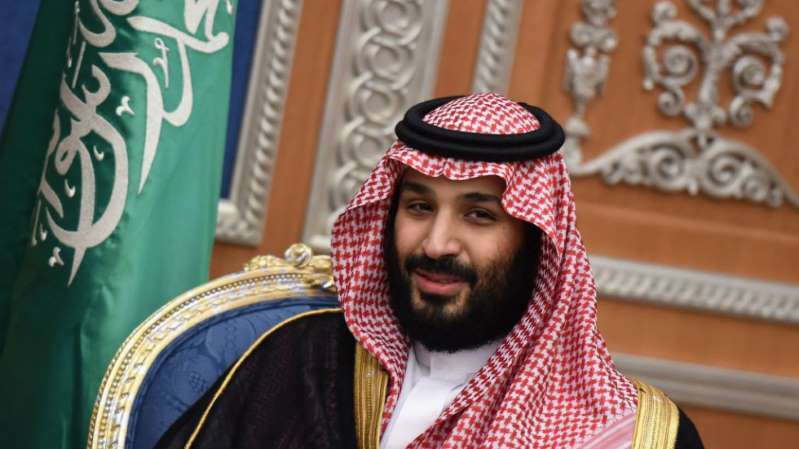 The Saudis have even threatened to drive the world oil price to $100 to $200 a barrel, which would mean $5, $6 or $7 a gallon gasoline at the pump. Yet, for the first time since the early 1960s, we no longer have to bow down to the Saudis or any other OPEC nation, because we now have more energy available to us than any of these very nations which once had a blade to the neck of our economy. I am speaking of the game-changing shale oil and gas revolution that has made America the No. 1 oil and gas producer in the world, and freed us from the tyranny of OPEC periodically strangling our economy. America has nearly tripled our oil and gas production in 12 years - with no end in sight. We have at least 200 years of production capability without running out. The "peak oil" fad of the last several decades now sounds like a laughable farce. All of this is to say that by far the best way to punish the Saudis - and the Iranians, and the Russians - for bad behavior is to drill and drill and drill. Every barrel of oil we drill is one less barrel we have to buy from the enemies that we now can see are ready and able to kill us. It's the best way to send the Arab thugs back to the Oasis, and send their camels to bed. The timing would be perfect for President Trump to give a national speech calling for a national crusade for energy independence by 2020 and energy dominance by 2022. We have this future in the palm of our hands. All we have to do is get after it. Mr. Hamm has issued a report to the White House calling for an all-out energy production offensive. This means more permits for energy drilling on public and private lands, more pipelines and liquid natural gas (LNG) terminals, and regulatory reforms that would, over the next decade, raise U.S. energy output by $127 billion a year for the next seven years and then by more than $600 billion a year over the next three decades. All told, a study by energy experts at the Committee to Unleash Prosperity estimates $40 trillion of energy resources under federal lands and about $4 trillion of tax revenues being generated - at no cost to taxpayers. By the way, as we've tripled our oil and gas output since 2005, our carbon emissions have gone down because natural gas from fracking reduces greenhouse gases. Fracking reduces global warming. Last year alone, our carbon emissions were down 2 percent even as our economy boomed. So what are we waiting for, Mr. President? You have said many times that you want a future when we are "not just energy independent, but energy dominant." To quote the late, great football coaching legend George Allen: The future is now. Never again should we be captive to the thugs of the Middle East for our energy needs. Stephen Moore is a senior fellow at the Heritage Foundation and an economic consultant with Freedom Works. He is the co-author of the new book "Trumponomics."